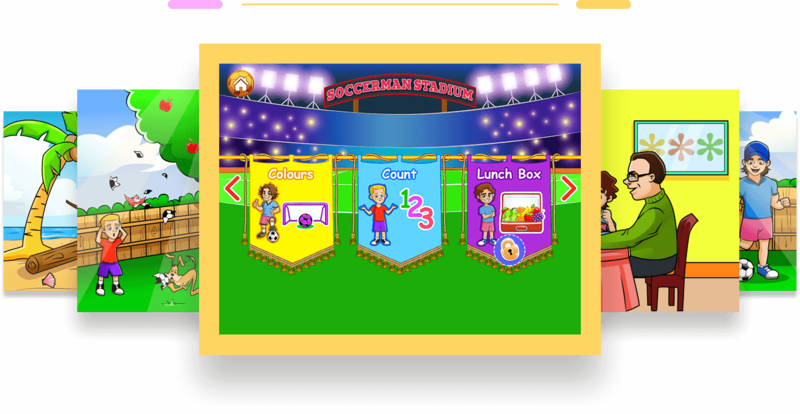 Soccerman is a multi-featured mobile learning game for kids, designed for the iOS and Android platforms. 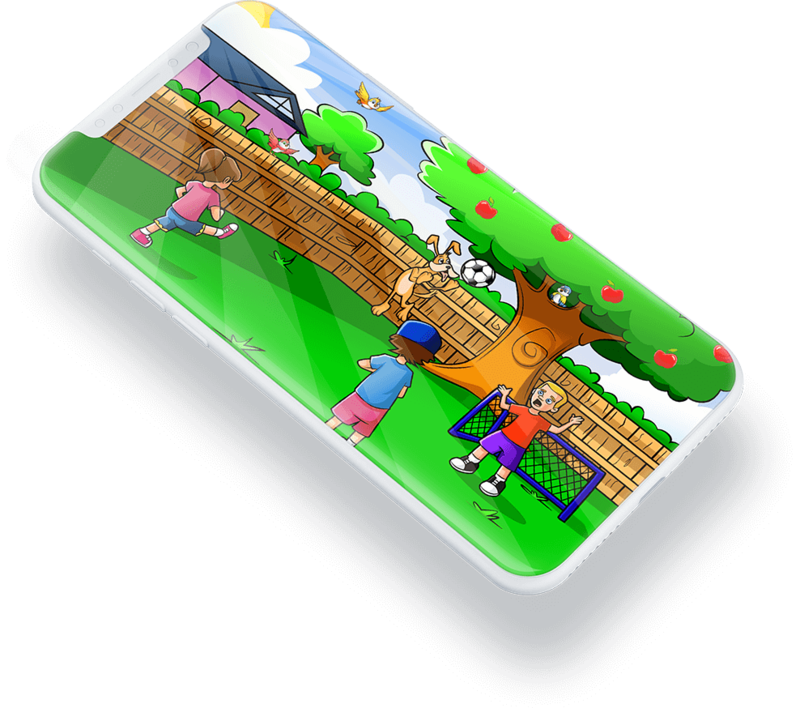 The app has several interactive, educational mini-games, along with a customized digital storybook feature. We are well and truly in the ‘mobile kids’ era - there are no two ways about it. Across the world, children - belonging to various age groups - are becoming experts in handling smartphones, and are using several mobile applications. Not surprisingly, the number of kids’ apps in the online stores is also increasing at a rapid rate, providing the little ones and their parents with an ever-widening horizon of options. At Teksmobile, we have a proud record of making successful apps for kids - Story Time For Kids continues to win accolades at various places - and the arrival of the Soccerman project gave us the opportunity to showcase our expertise in this domain further. Making good mobile apps for kids can be a tricky affair. There should ideally be an educational or learning element...but at the same time, things should be exciting enough to keep the little users engaged. In a nutshell, it is all about ensuring that the software appeals to its target audience visually and functionally. I feel that Soccerman nails this perfectly. Any viable app idea has to be carefully thought out, and there are few concepts as well researched and detailed as that of Soccerman. Right from the preliminary rounds of discussions with the client, we knew that we had a winner in our hands - and we backed ourselves to do full justice to the unique and innovative idea presented by the clients. 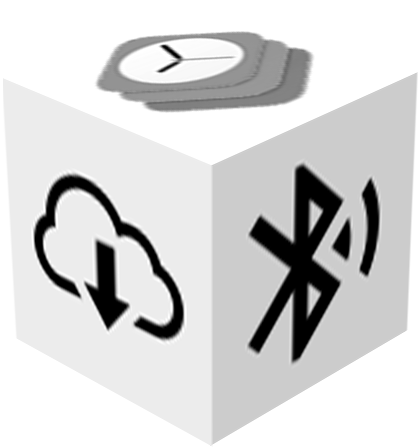 As soon as the agreements were done, the pre-development phase for the app kickstarted. 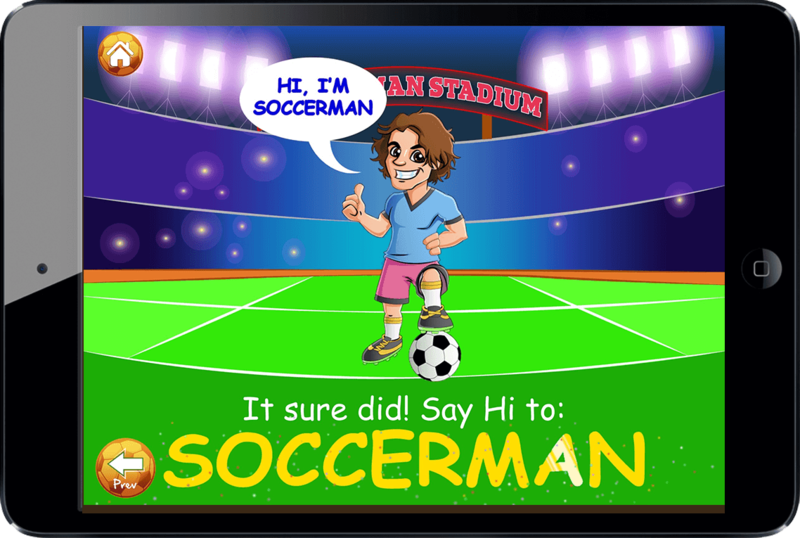 It would be incorrect to refer to Soccerman as just another mobile game or a run-of-the-mill learning app for kids. In truth, it captures the best of both worlds - and can be described as an exciting learning game for children, with a myriad of cool and engaging features. This one has the potential to become as big a hit as our previous children’s applications. A seamless blend of gaming fun, joys of reading stories and learning benefits is what we set out to achieve with the Soccerman application. A bit of research helped us come across Teksmobile. We were on the hunt for a capable cross-platform app development company to handle the coding part...and the Teks team really proved themselves. A bit about the brains behind the Soccerman app here. It has been conceptualized by the Timpano brothers (Jacob and Matt), based in Australia. Given that Matt has a decade-long experience in the childhood industry, and Jacob was a well-known Aussie soccer player - it becomes evident that the think tank for Soccerman could hardly have been more capable. It’s a simple piece of calculation for me. Soccerman needed to have elements of soccer gameplay, distinct learning benefits...and the overall experience should be a whole lot of fun. Soccer + Learning = Fun, to be precise! A multi-featured learning game like Soccerman should ideally reach out to as wide an audience as possible. Keeping this in mind, we created separate, customized versions of the app - for the iOS and Android platforms. The two versions were developed simultaneously. Based on my experience as a mobile app entrepreneur, I can say this with surety - Soccerman will be an app of huge appeal. Limiting its availability to a single mobile platform would have been a bit of a waste. The clients were also thinking on the same lines...and we finally decided to make the app for both iOS and Android. The Soccerman app can be downloaded, installed and used on both smartphones as well as tablets. The iOS version is compatible with iOS 8 and later iterations, while the Android version can be downloaded and installed on devices running on v. 4.0.3 and later. The app delivers high-end ‘playing-on-the-go’ experience to children. What are the two things kids love to do the most? The first would be playing games, while the second is probably reading storybooks. Both of these elements have been implemented in the Soccerman app...to provide users with a holistic experience. Lots of options - that’s what the app offers. There are as many as four different free-to-play games in this all-new mobile learning app for kids - the ‘Paint Game’, the ‘Count Game’, the ‘Shapes Game’, and ‘Soccerman Says’. Each of these have simple, intuitive and engaging gameplays - and do their bit in helping children get acquainted with colours and shapes and numbers. The challenges are super-enjoyable, and kids will have fun to swipe along and score GOALS! Need More Games? Not A Problem! This is where the in-app purchase feature of the app kicks in. In addition to the four free games, there are 2 more uniformly enjoyable games - the ‘Lunchbox Game’ and the ‘Colour Game’ - that can be purchased by parents, for their kids to play. With a total of 6 games in the Soccerman app, there is a not a chance of boredom setting in. Mobile gaming is rapidly emerging as one of the most important sub-domains of education technology. With the Soccerman games, we have tried to deliver a heady mix of gaming fun and learning benefits. The controls are kid-friendly, ensuring that they can play on their own...and go for medals and that exciting Soccerman Trophy! Note: The Soccerman app is available in two different languages - English and Chinese. What if a child does not feel like playing games on the app? Simple…(s)he can simply switch over to the captivating story of Max, SoccerBoy and SoccerGirl - and the quest to become Soccerman. Kid-friendly fonts have been used in the story, along with beautiful graphics and cute, lively animations. There are more stories and merchandise in the Soccerman series coming up too. The first six pages of the story are available for FREE preview. To continue to read from the 7th page onwards, users have to pay a nominal amount (AUD 1.99) and become paid subscribers. The in-app payment gateway (for IAP) is completely secure. The games and storybook available in Soccerman go a long way in bolstering the learning capabilities and the powers of imagination of young ones. It is primarily targeted towards 2-5 year old kids, and can indeed become the perfect mobile buddies for the little ones. The frisbee or the yo-yo in the hands of a kid from an earlier era have been replaced by smartphones and gadgets. With Soccerman, we have tried to make this app-usage experience of kids beneficial and fun in equal measures. Six games, an 11-page digital storybook, personal avatars - there are plenty of interactive elements in Soccerman to keep children hooked. 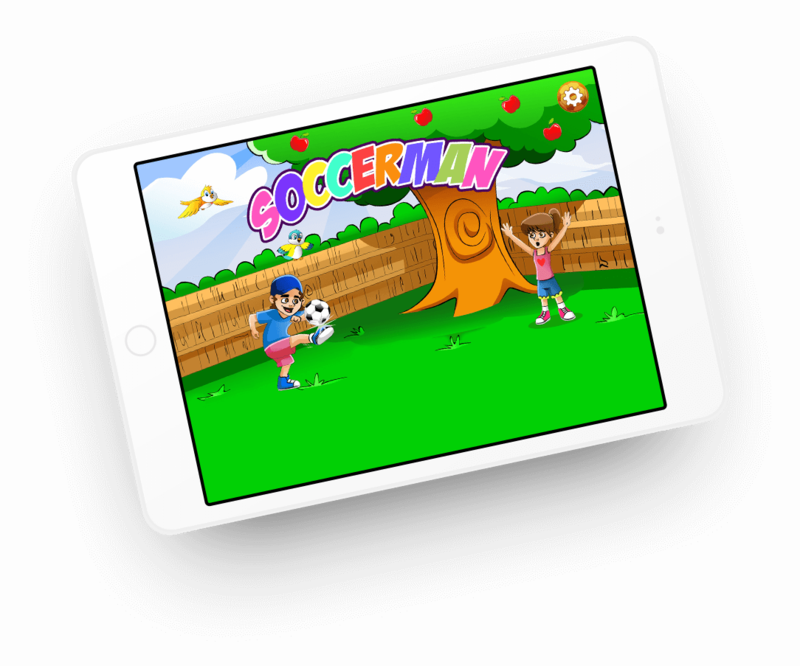 The iOS version of Soccerman is available for free download at iStore. The Android version can be downloaded from Google play store. We had a lot of fun working on the Timpano brothers’ idea...and we believe kids across the world will really love the app.